Alright, here's an interesting fact for you. Did you know that one of the favourite times of year for popping the question is Christmas? That's right, ladies. Seems your chances of scoring a sparkle are higher on Christmas than any average day of the week. While I'm expecting no such gestures this Christmas, I do remain hopeful that there will be a little blue box from Tiffany's under the tree come Christmas morning. Come on, Santa, I've been good this year. 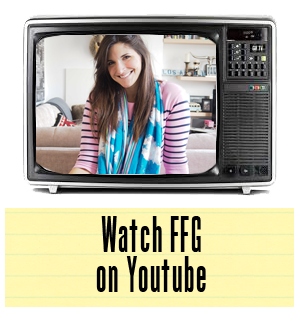 While we're on the topic, what is it about this little blue box that has us all so obsessed? A few weeks I was invited to celebrate Thanksgiving with Tiffany's over lunch. Our place settings featured a wrapped blue box and before we sat for lunch, the topic of conversation was the power of the little box itself. Each and every woman spoke of the magnitude of this brilliant blue in a sea of presents. It is the ultimate surprise on Christmas day. 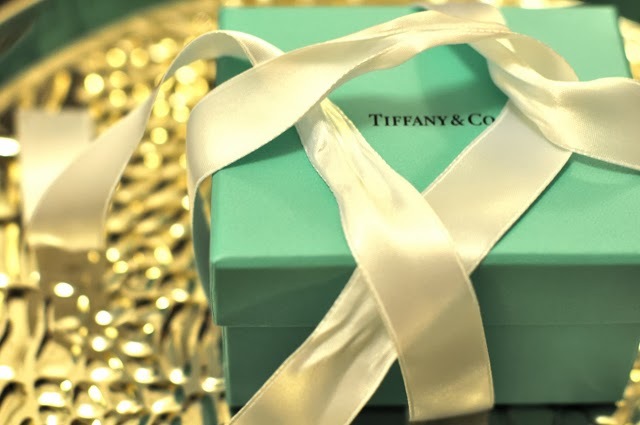 So for you men out there reading today, here's a tip... you cannot go wrong with a Tiffany & Co. blue box on Christmas. Whether that box contains a "Return to Tiffany & Co" sterling silver bracelet or a diamond cuff, trust me when I say you'll get the wow moment. Personally speaking, I'm still head over heels in love with the Atlas Collection. Hint, hint Mr. FFG! Pictured above, I had a little too much fun imagining my own little blue box moment on Christmas morning. 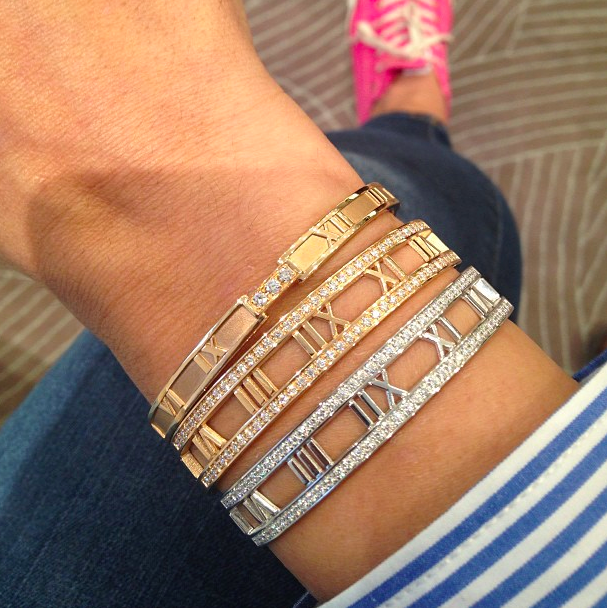 Do you think stacking diamond bracelets is asking too much? I kid, I kid. 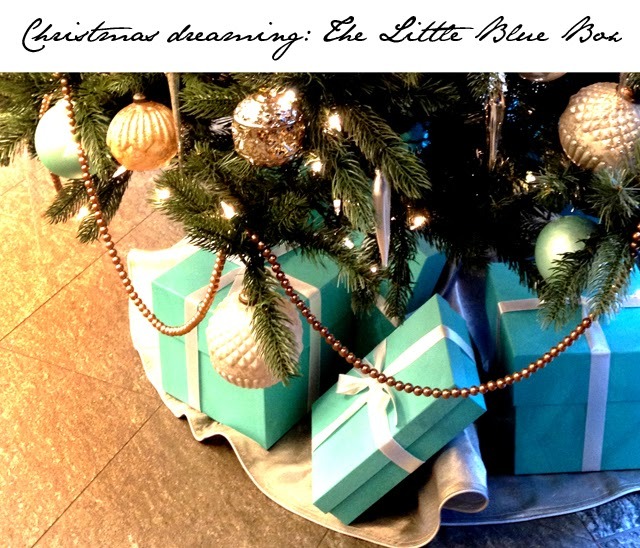 Here's hoping you have your own little blue box Tiffany & Co. moment this Christmas. We'll be watching instagram. We're hoping to see some shares of very special solitaires from some of you on social media. You never know... lightning could strike! Labels: Atlas Collection . Christmas . Tiffany and Co.